Thank you for a fantastic post. I am in the process of lots of testing for my son and feel that this is the direction we really need to take. It is a process, but I feel more infomred about heading in the right direction. thanks for the feedback. I am glad it is helpful. Where are you located? 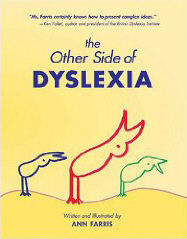 At first I was told I was dyslexic but recently I have be informed that I am hyperlexic but the thing is I have never heard of it before recently so I would really appreciate some help. Hello: I don’t know where you are living. If you are in a city where there is a Lindamood-Bell (http://www.lindamoodbell.com) training center, I found them very helpful in getting on top of the mechanical part of my hyperlexia. Also, if you can find a specialist in the Masgutova Method ( http://masgutovamethod.com/) you might benefit in seeing if all your reflexes are working. I found this was not true for me and once I had addressed this issue I felt much better. Good luck.